The knee is structurally complex. Our knee is composed of three bones. The femur, or thighbone, sits on top of the tibia, the larger leg bone. The patella, or kneecap, glides in a groove on the end of the femur. Large muscle groups in the thigh give the knee strength and stability. The quadriceps muscles are a large group of muscles on the front of our thigh that straighten and rotate the leg. The hamstring muscles are located on the back of the thigh and bend or flex the knee. Four ligaments connect our knee bones together. The ligaments are strong tissues that provide stability and allow motion. The ligaments enable our knee to have the flexibility to move in various directions while maintaining balance. The medial collateral ligament is located on the inner side of our knee. The lateral collateral ligament is at the outer side of our knee. These two ligaments help the joint to resist side to side stress and maintain positioning. The anterior cruciate ligament and the posterior cruciate ligament cross inside of the knee joint. These two ligaments help to keep the joint aligned. They counteract excessive forward and backward forces and prohibit displacement of the bones. They also produce and control rotation of the tibia. We rotate our tibia when we turn our leg outward to push off the ground with our foot. We use this motion to push off from the side when skate, run, or move our body to get into a car. Two cartilage disks, called menisci, are located on the end of the tibia. The cartilage forms a smooth surface and allows our bones to glide easily during motion. The menisci also act as shock absorbers when we walk or run. A smooth tissue capsule covers the bones in our knee joint. A thin synovial membrane lines the capsule. The synovium secretes a thick liquid called synovial fluid. The synovial fluid acts as a cushion and lubricant between the joints, allowing us to perform smooth and painless motions. Proprioceptive nerve fibers are contained in the ligaments and joint capsule. The proprioceptive nerve endings send signals about body movements and positioning. For instance, the proprioceptors in the knee send signals to let us know how far to bend our joint in order to place our foot for a step. They plan and coordinate our leg movements whenever we move. The ACL can tear during strong twisting motions of the knee. The ACL can also tear if the knee is hyperextended or bent backwards. People frequently tear the ACL while pivoting, landing awkwardly from a jump, changing directions suddenly, or abruptly slowing down from running. ACL tears occur most frequently in young athletes. Football, basketball, skiing, and soccer are sports associated with the highest injury rates. Researchers show that female athletes have a higher rate of ACL injury than males in certain sports. They suspect the greater angles in the female hip and leg alignment may make the knee more vulnerable to force. Additionally, female hormones can relax ligaments and make them less stable, making some women more susceptible to knee injury. It is common for additional injuries to result when an ACL tear occurs. Surrounding structures, such as the meniscus, cartilage, and ligaments can be injured as well. Some people may also experience bruised or broken bones. The ACL can tear during strong twisting motions of the knee. The ACL can also tear if the knee hyperextends or bends backwards. People frequently tear the ACL while pivoting, landing awkwardly from a jump, changing directions suddenly, or abruptly slowing down from running. ACL tears occur most frequently in young athletes. Football, basketball, skiing, and soccer are sports associated with the highest injury rates. People usually experience pain, swelling, and knee instability immediately after the ACL tears. Your knee may buckle or give out on you. You may not be able to fully straighten your knee. You may have difficulty moving your knee and walking. Typically, within a few hours the swelling in the knee increases dramatically. If you suspect you have torn your ACL, you should go to your doctor or an emergency room right away. A doctor can evaluate your knee by gathering your medical history, performing a physical examination, and viewing medical images. Your doctor will ask you about your symptoms and what happened if you were injured. Your doctor will examine your knee and your leg alignment. You will be asked to perform simple movements to help your doctor assess your muscle strength, joint motion, and stability. Doctors typically perform the Lachman Test to determine if the ACL is intact. For this test, you will lie on your back and slightly bend your knees. Your doctor will place one hand on your thigh and attempt to pull your leg forward with the other hand. Your doctor will test both of your legs to compare the results. If you can move your leg three to five millimeters, the test is positive. The Pivot Shift Test is another test to determine if the ACL is functioning. For this test, you will straighten your leg. Your doctor will hold your leg while turning it and moving it toward your body. If your leg moves in and out of position, the test is positive for an ACL tear. Your physician will order X-rays to see the condition of the bones in your knee and to identify fractures. Sometimes a fracture or soft tissue injury does not show up on an X-ray. In this case, your doctor may order a magnetic resonance imaging (MRI) scan. An MRI scan will provide a very detailed view of your knee structure. Like the X-ray, the MRI does not hurt and you need to remain very still while the images are taken. Initially following an injury, your knee will be treated with rest, ice, compression, and elevation. You should rest your knee by not placing weight on it. You may use crutches to help you walk. Applying ice packs to your knee can help reduce pain and swelling. You should apply ice immediately after injuring your knee. Your doctor will provide you with a continued icing schedule. Your doctor may provide over-the-counter or prescription pain medication. In some cases, a knee brace may be recommended to immobilize and support the knee. A knee immobilizer is used for only a short period of time. Elevating your knee at a level above your heart helps to reduce swelling. 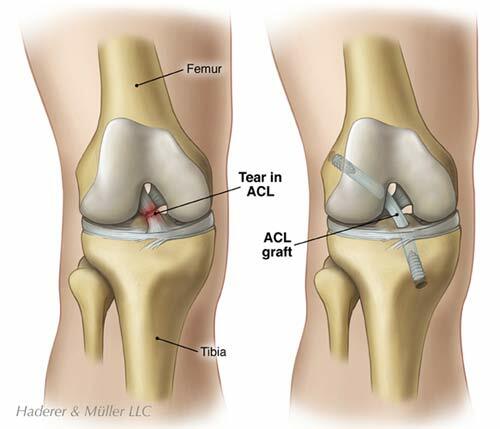 Treatment for ACL tears is very individualized. Many factors need to be considered, such as your activity level, severity of injury, and degree of knee instability. Treatments may include physical therapy, surgery, or a combination of both. The most likely candidates for non-surgical treatments have partial ACL tears without knee instability, complete tears without knee instability, sedentary lifestyles or are willing to give up high-demand sports, or are children whose knees are still developing. Physical therapy and rehabilitation can help restore knee functioning for some individuals. Your physical therapist will help you strengthen your knee. Special emphasis is placed on exercising the quadriceps muscles on the front of the thigh and the hamstring muscles on the back of the thigh. Eventually, you will learn exercises to improve your balance and coordination. You may need to wear a knee brace during activities. Your therapists will educate you on how to prevent further injury. Surgical treatment is most frequently recommended for individuals with ACL tears accompanied with other injuries. The most likely candidates for surgical treatment are active individuals in sports or jobs with heavy manual work that requires pivoting or pushing off with the knee. Surgery is also recommended for people with unstable knees or injuries combined with damage to the menisci, articular cartilage, joint capsule, or ligaments. Prior to surgery, most people participate in physical therapy. Swelling can make the knee stiff. Immobility can cause the muscles and ligaments to shorten. Your physical therapist will help you stretch your knee to regain full movement. If your collateral ligaments are involved, you may need to wear a brace to allow them to heal prior to your surgery. These steps will help you prepare for a successful recovery after your surgery. The goal of ACL repair is to reconstruct your knee joint to restore its function and stability, and prevent further injury. During surgery, your doctor will replace your damaged ACL with a healthy tendon, called a graft. There are several options for acquiring grafts. They may be taken from an area near your knee or from a donor cadaver. A patellar tendon autograft uses the middle third of the patellar tendon and bone plugs from the shin and kneecap. This type of reconstruction is most often recommended for high-demand athletes and individuals that do not have to perform a lot of kneeling activities. This grafting procedure has been considered the “gold standard” for ACL repair. A hamstring tendon autograft uses one or two tendons from the hamstring muscles at the inner side of the knee. The hamstring tendon autograft is most appropriate for lighter-weight individuals with a small patella bone and a history of pain. This method can be associated with a faster recovery. A quadriceps tendon autograft uses the middle third of the quadricep tendon and a bone plug from the upper end of the kneecap. The quadricep graft is large. It is most appropriate for taller and heavier individuals. It is also used for individuals with prior failed ACL reconstructions. Because it is a large graft, this method uses a larger incision. Allografts are tendon grafts taken from cadavers. Allografts are most appropriate for older individuals that are moderately active or those with a history of pain. It is also used for individuals with prior failed ACL reconstructions, those attempting to return to sports more quickly, and those that need more than one ligament reconstructed. Because the graft is not taken from the individual, this method is associated with less pain, smaller incisions, and a shorter surgery time. 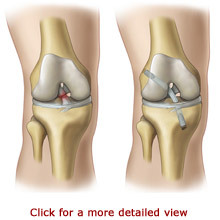 Many ACL reconstructions are performed as outpatient procedures. You can be anesthetized for surgery or receive a nerve block to numb your knee and leg area. After you have received your anesthesia and your leg is relaxed, your doctor will examine your knee by performing similar tests that were done in your clinical examination. This provides your doctor with more information about your knee and helps to formulate the surgical plan. Your surgeon will make one or more small incisions, about ¼” to ½” in length, near your joint. Your surgeon will fill the joint space with a sterile saline (salt-water) solution. Expansion of the space allows your surgeon to have a better view of your joint structures. Your surgeon will insert an arthroscope and will reposition it to see your joint from different angles. An arthroscope is a very small surgical instrument. It is about the size of a pencil. An arthroscope contains a lens and lighting system that allows a surgeon to see inside of a joint. The surgeon only needs to make small incisions and the joint does not have to be opened up fully. The arthroscope is attached to a miniature camera. The camera allows the surgeon to view the magnified images on a video screen or take photographs and record videotape. Your surgeon may make additional small incisions and use other slender surgical instruments if you are having your meniscus, cartilage, or ligaments repaired or removed. Your new graft will be attached using surgical hardware. Your surgeon will test the new graft and your knee function. Again, your doctor will examine your knee by performing similar muscle tests that were done in your clinical examination. This is to ensure that your knee is stable and has full range of motion. In addition to bandages, some surgeons apply a knee brace or a cold therapy device to help reduce swelling at the completion of your surgery. You will most likely go home on the same day of your surgery. You will receive pain medication to make you feel as comfortable as possible. In some cases, ice is applied to the knee throughout the day to help to reduce pain and swelling. Your doctor may prescribe blood thinning medication and special support stockings. You should keep your leg elevated and move or pump your foot and ankle. In some cases, doctors prescribe compression boots and a continuous passive motion (CPM) machine. Compression boots are inflatable leg coverings that are attached to a machine. They work to gently squeeze your legs to aid blood circulation. A CPM machine will move your leg in a cycling motion while you are in bed. The CPM machine is helpful to improve circulation, decrease swelling, and restore movement in your knee. Walking and knee movements are very important to your recovery. Exercising will begin immediately after your surgery. You will begin physical therapy soon after your surgery. Your first goals will include straightening your knee and strengthening your quadriceps muscles. At first, you will need to use a walker or crutches while standing and walking. Your doctor may also prescribe a knee brace for you to wear during activities. Your physical therapist will help you walk and show you how to go up and down stairs. You will also learn ways to exercise to further strengthen your quadriceps and hamstring muscles and regain balance and coordination. It can take up to four to six months to restore proprioception and coordinated leg movements. An occupational therapist can show you ways to dress and bathe within your movement restrictions. Your therapists can also recommend durable medical equipment for your home, such as a raised toilet seat or a shower chair. The equipment may make it easier for you to take care of yourself as you heal and help to prevent further injury. The success of your surgery will depend, in part, on how well you follow your home care instructions and participate in exercise during the weeks following your ACL reconstruction. You may need a little help from another person during the first few days at home. If you do not have family members or a friend nearby, talk to your physician about possible alternative arrangements. Recovery times differ depending on the severity of your injury, the type of procedure that you had, and your health at the time of your injury. Your doctor will let you know what to expect. Generally, you should be able to resume some of your regular activities in one to three weeks after your procedure and progress to full sporting activity in about six months. Overall, you should notice a steady improvement in your strength and endurance over the next six to twelve months. The majority of people are able to resume functional activities after ACL reconstruction. It is important that you adhere to your exercise program and safety precautions when you return home. You should stay as active as possible. It is especially important to keep your quadriceps and hamstrings very strong. You should also continue to use the durable medical equipment as advised. It is also important to avoid injuring your ACL again. Depending on your injury, your surgeon may provide you with temporary or permanent activity or lifting restrictions. In some cases, specialized knee braces may be recommended for specific activities. 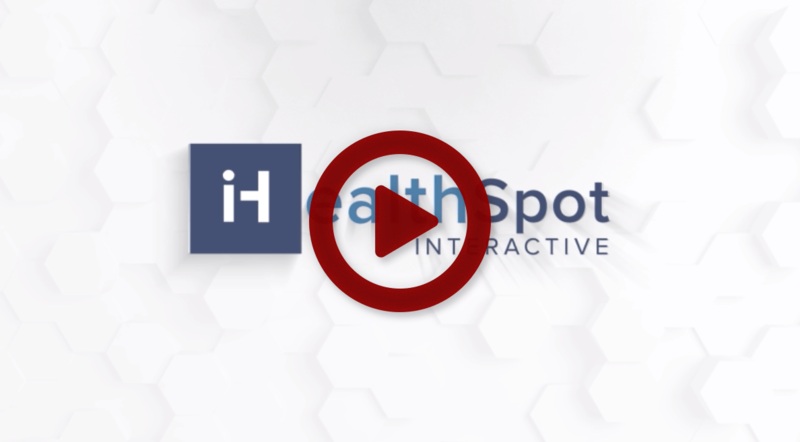 We invite you to explore our comprehensive list of resources and educational materials designed to help educate you more about Orthopedics and Sports Medicine. Copyright © 2018 Midwest Orthopaedics PA. All Rights Reserved.